As a fundraiser or a fundraising organization, apart from acquiring donations, you also want to improve the whole fundraising experience. You want to make sure that every touchpoint with a donor offers a delightful experience that motivates them to contribute again later. But if you don’t know what donors want you to improve, or why they are donating and why, specifically, to your organization, you won’t really know what to change or how to change them for the best results. You’ll just be making guesses at best, with no tangible way of measuring what works and what doesn’t. This is where donor surveys come in. By just asking a few questions to your donors, you’d be surprised at the amount of information you can get to work with in the future. With the help of a decent survey, you can get valuable feedback, insights, and opinions, from your benefactors. But creating a donor survey which is impactful AND concise takes work. Luckily, we’ve provided pointers to make the process of creating one simpler. Read on. What are my goals for the short term and long term? How am I going to implement changes from the surveys? What specifically am I trying to achieve? Is to work on existing areas and issues or to try out something different? By asking yourself questions like this, you’re essentially narrowing down and focussing on what you exactly want from the survey, and how you will go about it. It is only when you know this that you can create a survey that is meaningful and beneficial. Questions are the lifeblood of any survey. But before you come up with them, be sure to segment your donors according to different categories and then tailor questions based on each segment. For donors who contribute large sums, ask them their reasons for donating these amounts. Asking different questions to different audiences helps you gain a better understanding of their mindset and reasons for giving, so next time, you can personalize your outreach to cater to a diverse group. Why do they donate to your organization specifically? What do they like/dislike about your organization? Before sending out surveys and asking questions, you need to realize that the purpose of donor surveys is not just to benefit you as an organization but donors as well. It is only when you know the pain points of donors that your organization benefits. Likewise, they profit too because you can serve them better. It’s a symbiotic process which works both ways. So make sure you’re putting that out there for donors to see. Don’t start off with something like – ‘We need your feedback to improve’ – it doesn’t focus on what the donor gets out of the survey. Try something to the tune of – ‘Tell us what you need for us to serve you better’ – this is a better way of phrasing it as it shows donors that you value their feedback while making it a little more personal. Apart from this, keep your survey brief and include as many closed-ended questions as possible to increase the chances of getting a response. Open-ended questions which require donors to type out answers are likely to be ignored. Note: Closed-ended questions are those which require minimal effort from recipients such as multiple-choice questions or yes/no questions. This survey from Habitat for Humanity’s Tucson branch is an engaging one because they’ve clearly specified the importance they place on their donors and have included only closed-ended questions. Your survey can be online using tools like Google Survey or SurveyMonkey, or you can also use offline channels like texting. For this, you need to figure out which channels your donors are most comfortable with and reach out accordingly. For example, if your target audience is of an older age group, they might be more comfortable with emails or online forms. Whereas, a younger audience prefer texting, which is faster and convenient. And when planning how to conduct outreach, don’t forget about direct mail marketing. Direct mail is frequently seen as more personal and pointed, so your supporters might feel that your team is more interested in their feedback if you send them a real letter. 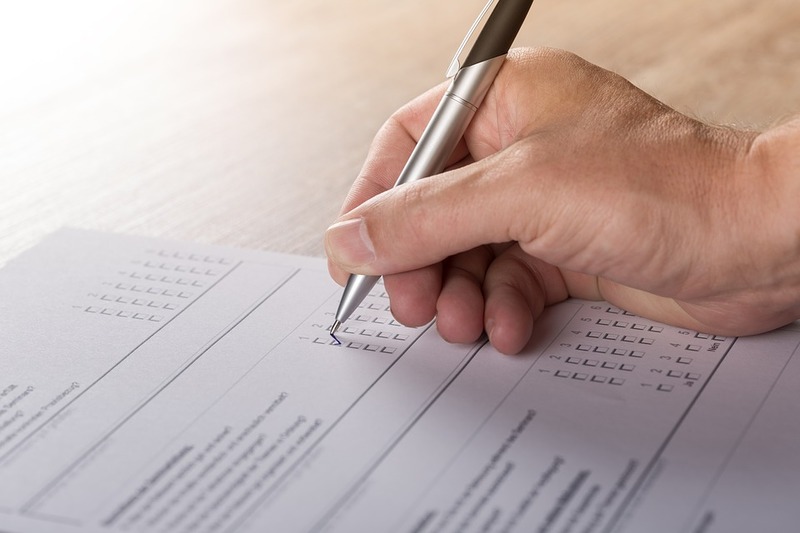 While using online or text surveys are useful, you don’t have to restrict yourself to just them. These are effective and convenient, but at the end of the day, the best way to collect feedback is through actual human interaction. So, organize focus groups, events, or seminars from time to time so that you can interact with your donors face-to-face. If possible, try calling your loyal donors as well; a phone call is both personalized and conducive for beneficial communication. This way you learn about donor experience in a way which is more fulfilling and informative. Try a combination of different channels and figure out what works best. What gifts are you going to provide: are they going to be gift cards, t-shirts, a poster, eBooks, or something else? What is the budget you’re working with: are you going to be able to afford to give monetary gifts? Are you going to give different gifts to different segments? You might want to give a gift which is of higher value to high paying donors when compared to donors who have contributed a smaller amount. Research shows that it’s better to give gifts before the survey is completed to get more response, but it’s harder to implement and costlier. So you must figure out what is more feasible for your organization (depending on your funds and staff size). While keeping these tips in mind should serve you in good stead, you also need to understand that putting out a good donor survey is only half the job. What you do with the information you get will determine how effective your surveys were. So make sure you follow up on the insights that you gain; strengthening on that which is already good about your organization’s donor experience, while eliminating (or reducing, at the very least) that which isn’t working too well. By addressing donor concerns, you’re essentially improving as an organization and benefiting all parties involved. Good luck! 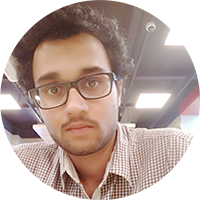 Shaunak Wanikar is a content writer and social media marketer at CallHub. He contributes to writing articles on the CallHub blog as well as partner websites. An engineering graduate with a penchant for movies, football, and books.